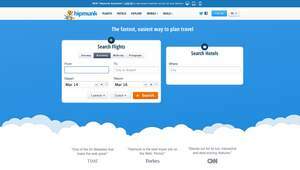 SAN FRANCISCO, CA--(Marketwired - Mar 13, 2014) - Hipmunk, the leading independent metasearch site for travel, today announced the launch of "Hipmunk Anywhere" -- a new cross-platform feature that lets users easily access previous searches from any device. According to a recent comScore report, more than 60 percent of consumers begin searches on one device and finish on another. Hipmunk's own internal data echoes this, with more than 60 percent of its users demonstrating the same behavior. Hipmunk Anywhere underscores Hipmunk's mission to simplify the travel planning process for travelers and reach consumers anywhere, anytime, and from any device. Designed to work the way consumers work, the new feature will allow users who are signed into Hipmunk to begin flight or hotel searches on one platform -- mobile, tablet, or desktop across various operating systems -- and finish on another. All logged-in users immediately have access to Hipmunk Anywhere. A user who searches on a phone and then visits hipmunk.com on the web will see those previous searches automatically, already open in the browser. Likewise, a user who searches on a laptop and then opens Hipmunk on a phone will see a list of previous searches from the web. "Travel is a major decision, and most people search several times before committing. Hipmunk Anywhere is the first product to recognize that this 'research' phase usually happens across multiple devices. Our goal is to remove friction from the process," said Adam Goldstein, CEO and co-founder of Hipmunk. To further enhance the user experience, Hipmunk will also be making available two of its most popular features on new platforms. Its "Book on Hipmunk" feature, which has been available via desktop, will now be available for the first time on Hipmunk's mobile web experience; and Hipmunk's multi-city flight search capability will now be available across all of its mobile apps. 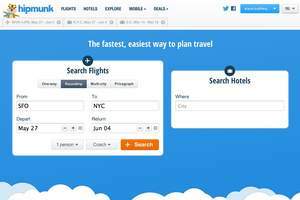 Hipmunk is the fastest, easiest way to plan travel. The site and mobile apps save you time by comparing top travel sites so you don't have to. The unique display makes it easy to visually compare results to choose what's best for you. Hipmunk offers the most comprehensive travel search, from commercial flights, trains, and charter flights to hotels, and apartment rentals through Airbnb and HomeAway. 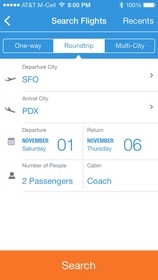 Hipmunk Anywhere--a new cross-platform feature that lets users easily access previous searches from any device.